1942 Alfa Romeo 6C2500 Super Sport with original Cabriolet coachwork by Pinin Farina completed in 1946. 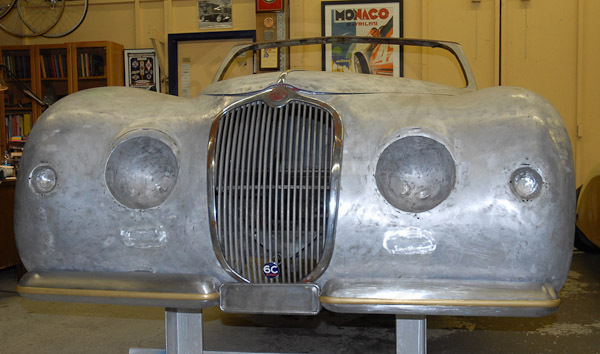 This particular car was one of the 28 6C2500 Super Sport chassis Alfa produced during the war, but the body was not built until after the war. A young designer at Pinin Farina, Fedele Bianco, designed this innovative body integrating the fenders into a clean modern look for a wealthy industrialist, Arturo Fumagalli of Tirano, Italy.The design of this Alfa Romeo, along with the Cisitalia built by Pinin Farina at the same time, was very influential on post-war car design. Consider the later Jaguar XK-150 for example or the early Porsche 356. 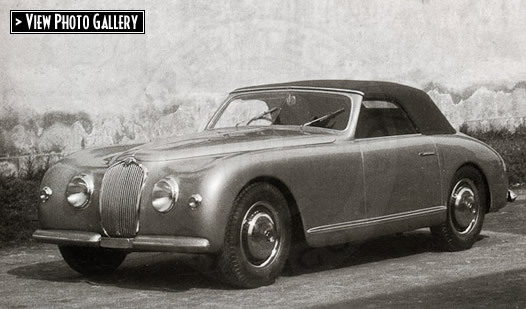 Alfa had a close relationship with the Porsche firm (designers and consultants well before they started manufacturing cars under their own name) and licensed the front suspension design for the 6C2500 from them. Porsche may have had a hand in the rear torsion bar suspension as well. The 6C2500 is considered the last of the hand- built Alfa Romeo cars. After this model Alfa Romeo changed their focus to building production sports cars for a growing general market. Cooper Technica is in process of a complete restoration of this 6C2500. The body was in poor condition, as it had been in an accident in the 1950s and had been badly repaired. The bumpers were destroyed and there was extensive sheet metal damage to the left front fender and rear panel under the trunk lid. 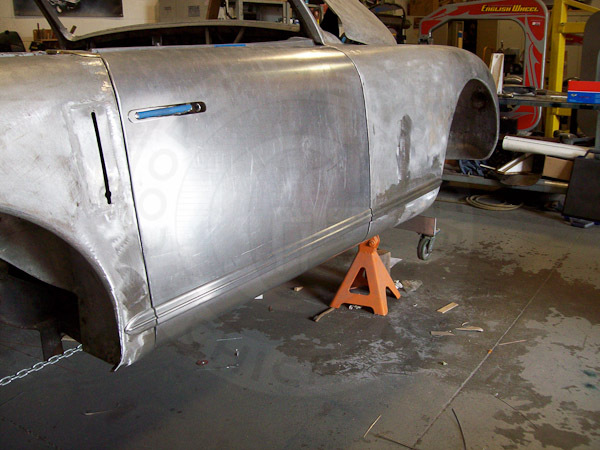 Cooper has fabricated new aluminum panels to replace the damaged parts and new front and rear bumpers. We have also restored the rusty floors. 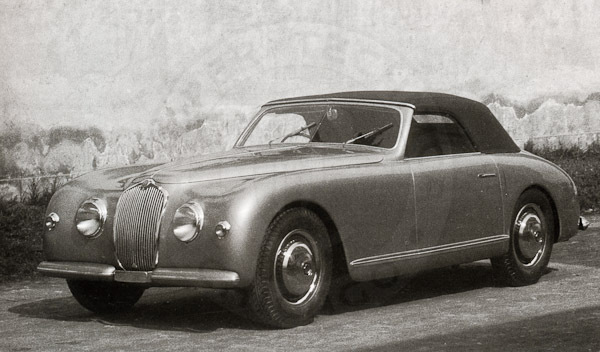 1946 Alfa Romeo 6C2500 Super Sport Cabriolet by Pinin Farin, built on one of the twenty-eight 6C2500 Super Sport chassis Alfa produced in 1942 during the war. 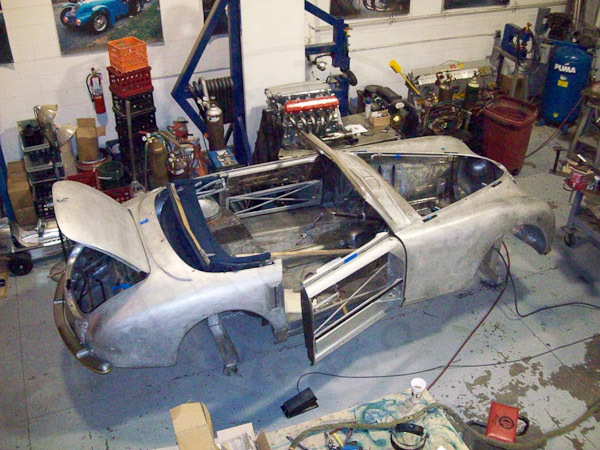 Body in restoration. New door panels replace the original damaged panels. The front fenders and rear quarters have been re-worked. 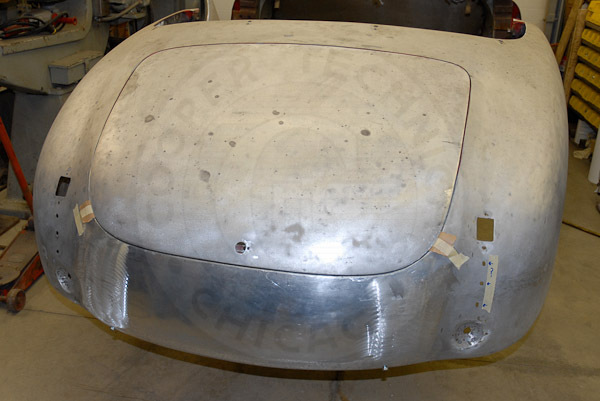 Front view of the body showing the re-fabricated bumpers. 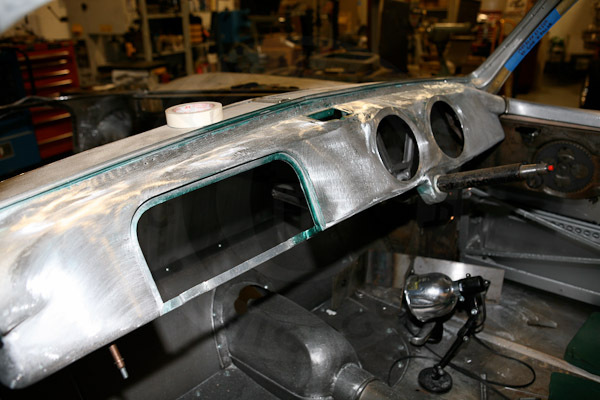 As on the originals, the brass rub strip will be chrome plated, while the bumpers will be painted body color. Cooper was also able to obtain a NOS "6C" cloisonne badge. Replacement panel fabricated to repair accident damage below trunk lid. 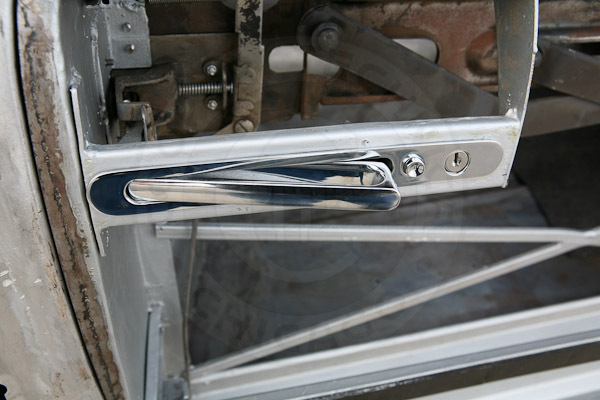 Restored door latch fitted in place on door (with door skin removed). 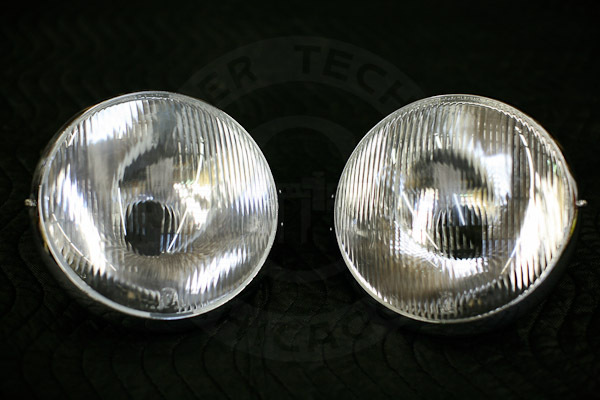 Correct NOS original Carello headlights obtained from Italy. 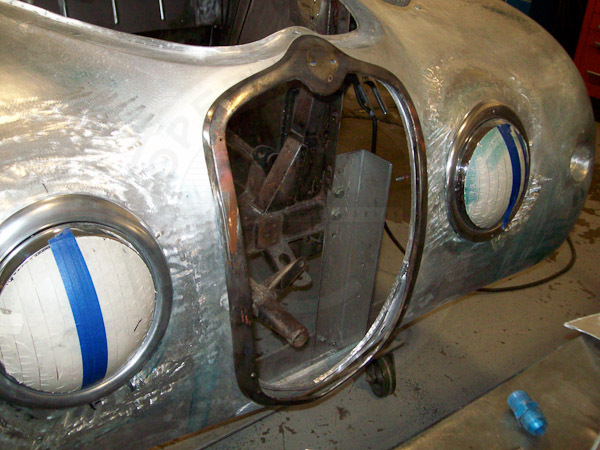 Headlights and grille frame have now been fitted properly in the front body sheet metal, repairing old accident damage. Detail of new door skin, reworked fender, lower trim. Detail of restored aluminum dashboard.